Girls basketball came to an end…in a thrilling way. 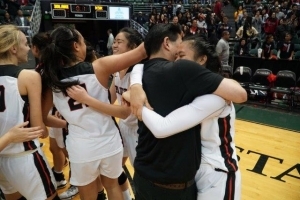 The D-I State Championship game was tagged as “…the most dramatic finish in girls basketball state tournament history…”, saw Iolani completing one of their best seasons in program history, holding the #1 ranking for most of the year, and claiming their first state title in 23 years. But the finish came down to a replay. 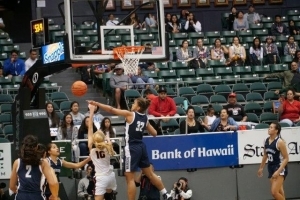 A 3-pointer by Kamehameha’s Kalina Obrey at the buzzer, at the time, tied the game at the end of regulation and was to send the game into overtime. Elation factor is high on the Warrior side. But after several minutes of replay, review, discussion, and more review, it all changed. The shot was released after the end of regulation (the red light) and the shot was declared no good. Iolani wins the game. Raiders charge the floor. Those minutes between the actual end of regulation until the decision was made by the officials can be described in so many ways…..excruciating….tense….unbearable….etc…..etc. Regardless of what side of the argument you sit on regarding replay (for or against), the general consensus is to get the play right. As painful as it is for Kamehameha, the right call was made. Congratulations to Iolani. 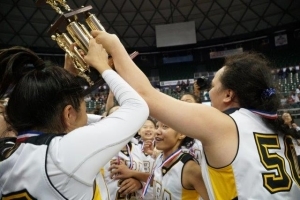 Cheers also for HBA for winning the D-II State title by defeating Seabury Hall. They did it without their head coach Keith Sugiura who has been out most of the season due to health reasons. 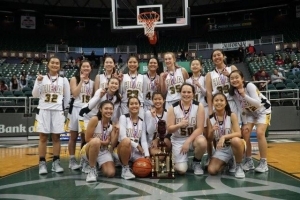 The Eagles also, like Iolani, came into he Tournament as the #1 seed, playing their full court defense and quick transition pace to their 2nd State Title. A note for one player I saw in the D-II semi finals, Waimea’s Kaye Serapio. This sophomore point guard, all 5-2 of her, averaged 21.75 points, 13.25 rebounds, and over 30 minutes per game in the Tournament. Did I mention she is a 5-2 sophomore? Waimea finished in 3rd place. Kamehameha won the HHSAA D-I Girls State Soccer Championship over the weekend. One of the things that fans outside of soccer are critical about, is that there is not enough scoring. The final score of this title game was 1-0. We just had the lowest scoring Super Bowl and fans have been critical about that…….boring…….ho hum. But if you were at Waipio Soccer Stadium on Saturday night you witnessed some of the most exciting 15 minutes in sports at the end of that game. The Campbell Sabers put on a frenzied attack in an attempt to score that 1 goal that could have sent the game into overtime. In football terms, think of a 2-minute drill lasting 15 minutes in real time. I sort of relate it to hockey. Not a lot of scoring, but when 1 goal is in the balance, there is one element of this sport, and soccer, that generates an excitement that is unmatched. A goal can be made at any time. And the fact that there are so few goals, and fans know how hard it is to score just 1 goal, the intensity is thicker then that phone book nobody uses anymore. It is a mad scramble, a flurry of attacks, back and forth, offense to defense. All for that 1 GOAL! Or how about in baseball, another sport criticized for lack of scoring. But how exciting is it when 1 run is the difference, bottom of the 9th inning. It is so hard to hit that baseball. But 1 hit could do it. If a batter gets on, one hit could do it. And the time for that half inning could last ……..15 minutes. Congratulations to Kamehameha, and Campbell, for an exciting 15 minutes. And for making all the fans in attendance completely exhausted at the end of the game. 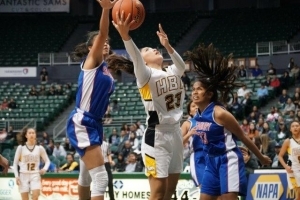 Speaking of HHSAA State Tournaments, it’s Girls Basketball this week. Check the schedule for game broadcasts on CBS Sports Radio here. Two programs which had held a string of dominance in girls basketball had streaks come to an end. Iolani dethroned 4X ILH Champion Maryknoll over the weekend by defeating Kamehameha. On the neighbor islands in the BIIF, it was Waiakea ending arguably the most dominant streak, that of Konawaena’s 10 consecutive League Titles, by defeating the Wildcats. Iolani’s last ILH Title was in 2012, which doesn’t seem that long ago. But to put it into perspective, especially for high school students, nearly 4 classes started as freshmen and graduated during this 7 year period. Seniors on this year’s team were in the 6th grade in 2012. Seniors on that 2012 team are almost……..25 years old! This season has been a dominant one for the Raiders, who will maintain their unanimous #1 ranking in the Star Advertiser poll. Head Coach Dean Young has his players operating efficiently enough that even on occasions during the season when key players did not play for various reasons, the team puled through. Iolani should be a solid favorite and the #1 seed going into the HHSAA State Tournament which starts next week on February 4. Dominance in the state has been on the Big Island, on the campus of Konawaena. The Wildcats under Bobbie Awa, are the 4X defending State Champions, and have won 9 Titles since 2004, or the last 15 years. That is very “New England Patriot – like”. Which makes the Waiakea victory on Saturday resonate on both the BIIF and State levels. This win was huge! But don’t let your guard down just yet as Konawaena will still be in the State Tournament. 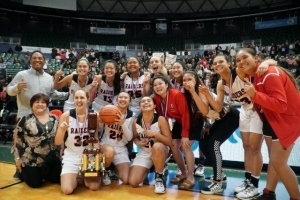 For the OIA, it seems surprising that new Champion Kahuku had not won the OIA since 2005, The Red Raiders defeated Kalani for the OIA Title and will most likely get the #2 seed in the State Tournament. Keep your eyes and ears open for the name Leiah Naeata. This sophomore, yes sophomore, has been on fire in the post season and scored 33 points in the League title game. There can easily be an upset in the HHSAA’s. Now……we can close the book on the high school football season as the Polynesian Bowl played the last prep game. You simply cannot realize the type of talent that is out there until you play in, or watch these types of all-star games in which our local athletes play with their counterparts from the mainland. Most of which will be playing in the SEC, PAC-12, or Big-10. Let’s see where we are in basketball. 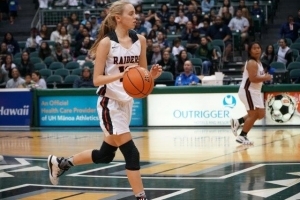 On the girls side the league playoffs are finishing up with State Tournament births at stake. Or at least some are. In the latest Star Advertiser poll Iolani has held court at the #1 spot over the past few weeks with Lahainaluna and Kamehameha at #2 and 3. Where is perennial power Konawaena? They are at #7. But polls, as they, mean only one thing – any one of these teams could make it to the HHSAA Semi Finals. The State Tournament starts February 4 at regional sites. The Boys have Maryknoll at the top. Considering that the girls team is ranked #6 and seem to be in the state championship game in recent years, this school has thrown down the gloves as the best overall basketball program. Iolani would be the next school that comes to mind in terms of on-going level of play on both the boys and girls. Damien is still my “curiosity” team with a terrific season so far and the # 4 ranking. Public schools take the #5-8 spots. Lahainaluna, another candidate for a school with consistently good boys and girls teams, is the only neighbor island school in the Top 10. St Francis grabbed recent headlines with the announcement of the closure of the high school grades. This is a school that had an outstanding 2017-18 athletic year and looked to continue that success this academic year. The football team was on pace to contend for the D-2 State Championship until they were found to have an ineligible player. The boys basketball team is also back to compete with the big boys of the ILH D-1, which means battling the #1-3 teams in Maryknoll, Punahou, and Iolani. The Saints are ranked #9 this week. The “Third Season” has begun, playoffs. Now it gets really exciting! Honorary captains are Haloti Ngata from the Philadelphia Eagles and Juju Smith-Schuster from the Pittsburgh Steelers. This is what makes this all-star game special, aside from the fact that it is in Hawaii. C’mon, with NFL playoffs in high gear, tell me what 18 year old high school senior would not want the opportunity to rub elbow pads with these 2 guys. Add the fact that the Bowl ambassadors are Michael Bennet (Eagles and resident of Hawaii in the offseason), DeForest Buckner (49ers), and……. (drum role)…..Marcus Mariota. Rosters are littered with talent from across the country and most will be playing at Big 5 teams next year. Unlike the Pro Bowl, these guys are here to impress. And enjoy the week too. Dinners, luaus, hanging out at Wet N Wild, the Polynesian Cultural Center, and cruising Waikiki. There will be curfew, but still, it’s Waikiki! Safe bet that TE Ryland Goede from Georgia (he will be a Bulldog next year) is making his first trip here. Kudos to Super Bowl Champions Jesse Sapolu and Maa Tanuvasa for getting the game going and making it the high class showcase that it has become. These guys will have so much fun this week. The game will be a blast. And the Polynesian Hall of Fame will induct their 2019 class – Dan Saleamua, Joe Salavea, Lofa Tatupu, and Marques Tuiasosopo. These 2 weeks leading up to Christmas is all about one thing – high school basketball. If you thought “Christmas shopping”, you may need to do that in between games. 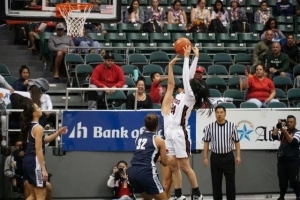 The Iolani Classic started last week with the Girls Tournament which concluded on Saturday with the Pinewood Panthers from Los Altos, CA defeating Incarnate Word, from St. Louis, MO. The field, as always, is filled with good mainland teams and local team. The championship game featured and upset considering Incarnate Word came in nationally ranked at #22 and included a roster of players committed to schools like Purdue. Pinewood featured players all under 6-feet lead by a player named Hannah Jump (how appropriate). No slouch of a team, these Panthers returned 4 starters from a team that last year won their league and finished 2nd in their state Open Division. Locally, Lahainaluna gave a shot across the bow by defeating Kalani in a battle of Top 10 teams (Scoringlive poll) and finished in 5th place. Host Iolani lost to Clovis West in the 3rd place game so we all know that these 3 teams will meet again in the HHSAA State Tournament in a couple of months. The Boys Tournament starts this Tuesday and the field always, always, always, has national contenders. In this era of the “One and Done” in college basketball, the Iolani Classic will give you a preview of who these top freshmen will be next year. Perennial high school powers like Oak Hill, DeMatha, and Fairfax have come through the Classic. Add Montverde Academy from Montverde, FL, to the VIP list. The Eagles won the Classic last year and were given the #1 national ranking at season’s end. Last year’s top player, RJ Barrett, is now one of the top college players at Duke. This year, they boast blue chippers all over their roster with size equal to any D-I college program. There is 7’-1” Balsa Koprivica, and 6’-9” forwards Precious Achiuwa and Omar Payne. Check out La Lumiere from La Porte, IN and Sierra Canyon from Chatsworth, CA. These are small schools with enrollments of 195 and 350 respectively. Both teams are nationally ranked, and Sierra Canyon has a Scotty Pippen Jr on the roster (son of the former Bulls All Star? ), and 7”-2” Yu Jia Hao, who is only a sophomore! But he goes by Harold. Roosevelt, Moanalua, Kailua, St Francis, Campbell, Farrington, Mid Pac, and host Iolani represent this state in this field of 16 teams. Take some time to watch some of the best high school basketball you will see in person. And if you see Scottie Pippen Sr, tell him I said “hello”. One thing about polls is that they create great conversation points, especially when they roll out very early in a season. 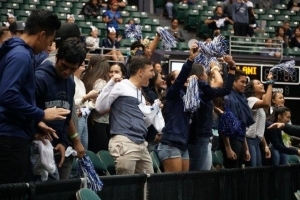 “Who’s #1?” “Look at that team!” “Wouldn’t it be great to see those 2 teams play each other.” In the latest Star Advertiser Top 10 poll for boys basketball, 7 of the top 10 teams are from the ILH. Damien is a surprise showing with some big victories over D-1 teams (Monarchs are D-2). But fear not OIA and neighbor island fans. Early season success is typical for the ILH and there are some reasons why. Poll writers just don’t see enough of the neighbor island teams beyond stats. Sorry BIIF, MIL, and KIF. But if a team comes to Honolulu, and beats a formidable Oahu team and continues to win, then that team would get noticed. The Press – not the media, but full court pressure. 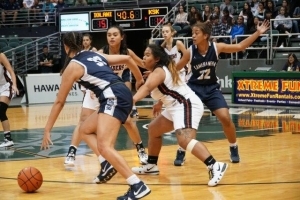 Many ILH teams play full court pressure and train that way during the off season in club ball. In the beginning, for a team, it is more difficult to become efficient in breaking a press (being calm, reading the defense, making the crisp pass), but much easier to run a press defense. The principles are easier to teach particularly if you have quick players. OIA teams tend to be challenged with this. Depth – for most schools, some of their best athletes also play football. So they don’t come out for basketball until later in the training period. Particularly if the football team advances in post season play. All schools have this situation. But ILH schools such as Punahou and Iolani simply have more depth and can play at a higher level earlier in the season while waiting for the football guys to get into basketball shape. As the season progresses the ILH teams will beat up on each other and take some losses which may drop some of them down in the polls. OIA schools will move up a bit or have teams enter the polls as their players develop better and they get into league play, getting more wins along the way. It all makes for good conversation. The Honolulu Star Advertiser reported that Mililani QB Dillon Gabriel has de-committed from Army and is now “available” for other offers. The leading candidates the first go around came from Navy, Air Force, and Hawaii. What caught my eye was that all 3 of the Military Academies were recruiting Gabriel. That tells me a few things. (1) His height (6’) makes him “small” for the big-time college programs. (2) Gabriel is on very sound academic footing. The Military Academies do not make any exceptions to their high academic standards regardless of your athletic skills. (3) Gabriel has expressed a future beyond football and a character that leads him to want to serve for his country. This young man, at such a young age, is proving to be a very good role model and representative of his family, team, school, state, and country. He may not choose a military academy as his next step, but the fact that they all wanted him, says more about him than any records or trophies he would win on the field. After the first weekend of the First Hawaiian Bank HHSAA State Football Playoffs, there was an upset (in my perspective) with Waipahu narrowly defeating Iolani 20-19 in one D-I Semi Final, and almost upset in D-II as Kaimuki held off Kamehameha-Hawaii 28-27, in bad weather. For D-I, last week I stated that the winner of Waipahu v Iolani would be my favorite for the State Title, and I stand by that. 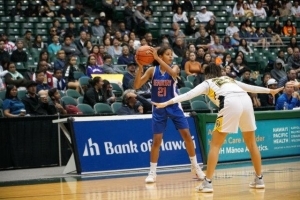 Defending D-I Champion Hilo will have something to say about that in the Championship game. The Vikings are hot with a 9-game winning streak. But confidence is on the Marauders side with the victory of the Raiders. 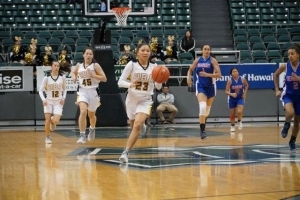 In D-II, both semifinal games are on the neighbor islands and the 2 Oahu schools will need to get used to a tough environment. There is no secret that any neighbor island team/school/community would bring the house down to defeat an Oahu team. It could be 5-yr olds in t-ball and the intensity would be the same. Lahaina and Kapaa will be rocking and the community may shut down for these games (maybe not, but you get the idea). Can Roosevelt and Kaimuki withstand these respective home crowds? No……and Yes. And for the Open Division…..there will not be much drama. St Louis and Mililani have proven all year that they are destined to meet up in the State Title Game. The possible variable that could tweak things – St Louis has not played in 3 weeks. They will either be healed up and chomping at the bit to hit somebody, or in need of WD-40 for the first half. Either way Kahuku MUST play the best game of their lives. Who would argue this. Crusaders have been dominant throughout the season, #1 ranking, national rankings, and talent. The record of head coach Cal Lee losing in State Tournament games (or Prep Bowls for that matter), is…well…he just doesn’t lose. Talent is everywhere and QB Jayden de Laura is the next one up in the ongoing legacy of great QB’s. With arguably the best QB in the state, Dillon Gabriel can have a “bad” game (2 picks v Kahuku in OIA Championship Game) and still blast the opponent away. Over 3,000 yards passing this season, he could potentially throw for 10,000 yards for his career. The defense is tight but not impenetrable. 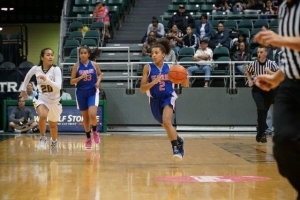 Their only loss in the islands was to Punahou and the Buff n Blu put up 43 points. Oh…..and: St Louis and Mililani did not play in the regular season as that game was cancelled due to Hurricane Lane. They are unseeded, so it seems like I am reaching on this one. But there are only 2 seeds in the D-II – Hilo is #1 because they deserve it with an undefeated BIIF record and their only loss was to a tough Campbell team. The #2 seed went to Waipahu because, well, they are the OIA Champions. The Tournament Committee showed these teams some love. 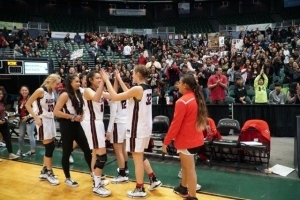 But much like St Louis, in State Tournament play, Iolani takes it to another level. BIIF doesn’t want to hear this, but the strength of schedule goes to the Raiders who went 8-2. QB Jonah Chong has quietly thrown for nearly 2,000 with 20 TD’s against 7 picks. Their offense can hum. 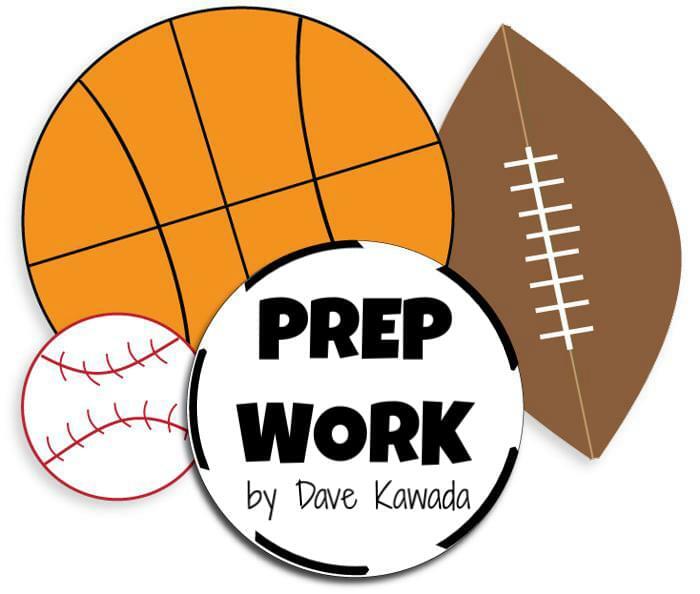 Head coach Wendell Look may be the best prep coach considering he makes winners out of a bunch of 5-8, 180-pound kids with discipline and fundamentals. Iolani and Waipahu play each other in the opening semi-final game this week Friday. Which means whoever wins this matchup would be my favorite to be the D-II State Champion. Oh….and: Moanalua had one of their best seasons going undefeated into the OIA Playoffs. They weathered stadium problems and had to play their home games at Radford. But they were upset by Castle in the OIA Semi’s. Only 1 OIA team makes it to the State Tournament. They have the #4 seed and need to beat Pac-5 in the opening round, then meet up with #1 seed Lahainaluna which has the bye. The team with the bye would be favored. But this Luna team has not been tested in the MIL like in years past when the “big game” was against D-I Baldwin. But the Bears had a down year. 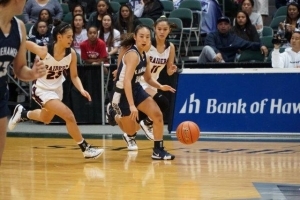 The Roughriders have lost only once, to Kaimuki, who the beat in the rematch in the OIA D-II Championship game. Add to that a tough defense allowing under 10 points per game. This would be the 3rd time for this matchup if my prediction holds true. Roughriders grind it on the ground. The Bulldogs have more of a balanced attack. Both teams defend like they’re the US Army. Turnovers may tip the scale. Oh…and: St Francis would have been my favorite had they not had to forfeit their games. They were a dominating, physical team…..with an asterisk. 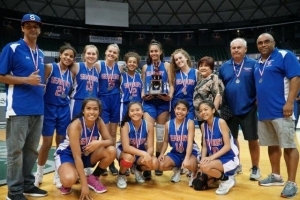 State Champions were crowned in Girls Volleyball over the weekend in another ILH sweep as the league continues to dominate that sport. But some seasoning was added to the brew that gave the HHSAA State Championship games a little different flavor. In both the D-I and D-II title games, the defending state champion was trying to repeat. The defending state champions were the heavy favorite. The defending champions were both upset. Two-time defending D-II champion LeJardin fell to Sacred Hearts 3-1, lead by Ryanne Burnett’s 15 kills. The Lancers opened the season with a loss to the Bulldogs, who had dominated the season with only 2 losses all year. But that game seemed like years ago. 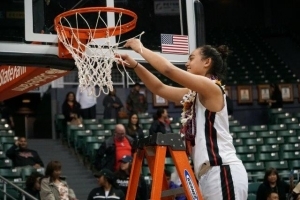 Sacred Hearts won their 2nd State title in a way that most seniors would like to end their high school career – with un upset. A similar setting occurred in the D-I championship game although the eventual winner was arguably a bigger underdog. Kamehameha has been the role model program in the sport with probably the best high school coach, the most state titles, and a lineup loaded with D-I college talent. Iolani is generally considered #3 of the three powers in the sport, Punahou being #2. But what the Raiders tend to do is take their lumps in the tough ILH season (5 losses), lose more than once to their opponent (all 5 losses vs Kamehameha) then sneak up on you and play their best volleyball at the end of the year. Iolani upset heavily favored Kamehameha 3-0 to capture their 3rd State Championship. Yes, a sweep. 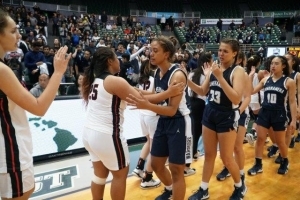 It should also be noted that this was the 4th consecutive meeting in the title game between these 2 schools which may put an argument on my earlier statement that Iolani is considered #3 of the three powers in the sport. Junior Elena Ogilvie, who has been a star since her freshman year, put down 28 kills on her way to being named Tournament MVP. Anybody want to predict that it may be a repeat of these 2 teams in the title game next year? In football, the Leagues have or are about to crown their champions. For the ILH the tables are set and in the Open Division, Saint Louis has clearly shown that they are the kings and are merely waiting for the title game. Game to watch: OIA Open Championship Game, Mililani vs Kahuku, Friday, @ Aloha Stadium. Funny thing is that I normally look at a game in which the outcome is not as obvious. I think Mililani will win and it may not be that close. The Trojans beat up on Kahuku 38-10 back in September 29. In fact the Trojans have pretty much beat up on everybody. Kahuku seems to have shown a chink in their armor, losing twice in the OIA season for the first time in who knows how long. A key defensive player is out and the Red Raiders will be easy underdogs in this one. Sound familiar? Iolani and Sacred Hearts would say “yes”. The news of the St Francis football team forfeiting their undefeated season due to an ineligible player shocked some, brought concern to others. This has happened before. Most recently to Kahuku in 2010, also a football team that was undefeated, and unable to compete in the State Tournament. In this case, a player transferred from a public school to St Francis. There are specific rules in the ILH and OIA related to transferring within their respective league and between the leagues. The rules are fair and understandable – a student has 4 years of eligibility for athletics, 9th thru 12th grade. The rules are designed to discourage transferring so that players and parents don’t run amok by changing schools because of this, that, or the other thing. This student, a St Francis senior, was in 9th grade at his public school and played JV football, then transferred and repeated the 9th grade at St Francis. Playing this year, his St Francis “Senior Year”, became his 5th year of playing football. The concerned people will ask, “Shouldn’t they (St Francis) have known about this?” Knowing the rule – yes. Knowing specifically about this student, not necessarily. On paper, the responsibility falls on the school’s athletic director. The AD has an assistant, and they would be responsible for verifying the eligibility of students for 18 sports teams in Intermediate, JV, and Varsity. I do not know how St Francis takes care of this process. Is there a question on an application form that asks if the player has played high school sports before? The St Francis website has the health and liability forms, but neither stipulates the eligibility rules and criteria. The OIA has the Department of Education Parent and Student-Athlete Handbook, which states the rules on eligibility. All parents and student-athletes must sign this handbook to acknowledge that they have read and understand the contents. But does everyone read it? Even at a smaller school like St Francis, that is still a lot of students to have to verify eligibility. Did the AD know that this student played JV football at his public school 5 years ago? How would he know this? Were there staffing changes at the school? This must be a team effort and the other key member of this “team”, is the student and the family. Did the parents know about the eligibility rules? Maybe not. Could they have inquired with St Francis officials? Not if they did not know there would be an issue. St Francis could not act upon a situation if they did not know about it, and the student and parents will not inquire about a policy if they are not aware of it. When errors happen, they become learning moments. We can then hope that more students and parents become aware that when you transfer schools, it is best to verify with your new school about these eligibility rules. We can also hope that schools would look into their process of verifying eligibility, particularly students transferring in. My recommendation – consult with Radford, Moanalua, or Leilehua. They must process military transfer students every year. When they see a 6-3, 230-pound boy signing up for football, I’m sure they ask the appropriate questions. As the regular season draws to a close after this week we can make some assumptions. 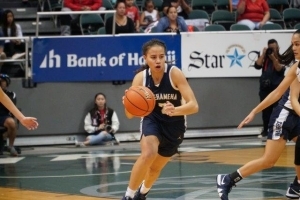 The schedule which offered matchups between OIA and ILH teams has been outstanding for fans. The Open Division made each week exciting with big games seemingly every week. More importantly, games were competitive for the most part which added to the value of not only the ticket you paid for, but the anxiety factor for fans as there were not as many blow outs and matchups were physical and exciting. Saint Louis, Mililani, and Punahou have separated themselves from the rest, with a clear edge to the Crusaders as they ran the table. Interesting fact is that Saint Louis played the least number of games (8) compared to other teams in high school football as most played 9 or 10 total games. And they did not play Mililani. 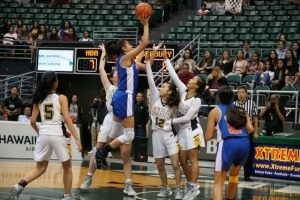 The Trojans and Crusaders should end up on opposite sides of the HHSAA State Tournament brackets, barring an upset in the OIA Playoffs, which means they would only meet in the State Championship game. What do you think will be the anxiety level for that one? Congratulations to Moanalua, St Francis, and Kaimuki for going undefeated. But my “hoorah” goes out to Kaiser in the OIA D-2. The Cougars qualify for the OIA playoffs as the #4 seed which is a huge accomplishment for any team. But a reminder about where this team came from just 1 year ago – a forfeited season, barely enough players to field a team, off the field issues involving coaches and parents, and morale at an all time low. First year coach Tim Seaman, a veteran in the high school coaching ranks with previous stints at Saint Louis and McKinley, rebuilt the culture and ignited the passion for football within the student body again. Players turned out. The community, hungry for football, saw a competitive team that played with discipline and energy. As luck would have it their senior night game last Friday was cancelled due to lightning. But this resilient group of athletes can take away 3 great aspects from that mild disappointment – 1) the cancellation served as a bye week to heal up for the playoffs against a tough Kaimuki team, 2) senior night was still celebrated in the gym and they had more time that night to celebrate, 3) they proved that Kaiser football is back. My “Game to Watch” this past weekend was the Leilehua versus Damien game, a 23-17 victory for the Mules. Not often in the high school ranks that the kicking game, or specifically one kicker, can be easily deemed the MVP. Mule kicker/punter Akoni Tom-Makue made 3 field goals (note the point difference was 6 points), pinned the Monarchs inside their 10-yard line twice on punts, and only allowed one return opportunity on kick offs. Keep in mind, if any team has a kicker that can kick the extra point with consistency, that is a plus. If a team has a punter that can boom one at least 25 yards, another plus. Leilehua must be on cloud nine as this guy can kick with distance, accuracy, and punt for distance AND accuracy. That Monarch loss, coupled with Iolani’s 41-14 win over Castle, means the Raiders secure the ILH D-I top spot. How about those Sabers! This year Kahuku is not as dominant as some other previous Red Raider teams. But they are till physical and good. For the Sabers to overcome second half deficits and culminate their victory with a 29-yard touchdown pass from QB Krenston Kaipo to Titus Mokiao-Atimalala, with 19 seconds left in the game to seal the victory 28-27, is a testament of true grit. For the Red Raiders that was their second straight loss. Can’t remember the last time a Kahuku team lost two in a row. Meanwhile, Campbell ended a 3-game losing streak. Saint Francis @ Roosevelt, Friday Oct. 12, 7:30p – the Saints are 8-0 and the Rough Riders are 8-1. Both teams can score and their respective defenses have held opposing teams to 52 and 67 total points respectively. And take a look at Saint Francis left tackle Faaope Laloulu, who is 6-7 and 350 pounds. Heard through the grapevine that USC gave him an offer last Friday. Pearl City v Kaimuki @ Farrington Skippa Diaz Stadium, Saturday Oct. 13, 6:30p – winner gets a leg up over the other for the top spot in the OIA D-2. Roosevelt is the other team in the mix. Their only loss was to Kaimuki. The Bulldogs are 6-0 in league play and the Chargers only loss is against the Rough Riders. So if Kaimuki wins they are the D-2 top seed. If Pearl City wins, then Roosevelt is the top seed. If it’s a tie, then…well, let’s hope it doesn’t come to that! Did anyone outside of the Mililani community anticipate what happened in Kahuku this past weekend? Is there another home field with more aura and winning history than Kahuku’s field, to the tune of 51 consecutive home victories. How many graduating classes is that? About 10? Obviously this aura did not impede the mission for the Trojans as they bussed in to the North Shore and defeated, handily, the Red Raiders 38-10, ending the longest home winning streak, on their homecoming night. Double “ouch”! I think the “handily” part is what is surprising. Mililani QB Dillon Gabriel continues to make the career passing yardage mark beyond reach for the common man, as he tacked on 309 more aerial yards to 9 different receivers. Some high school teams don’t even have 9 receivers on their roster. Turnovers hurt the Red Raiders which aided the momentum on the upset minded Trojans. These 2 teams will meet again in the OIA Playoffs and Kahuku head coach Sterling Carvalho has a lot of teaching moments to work with. Thought – is Mililani slowly becoming a quarterback factory? Trojan alum Mckenzie Milton is tearing it up for UCF, and now there is Gabriel. St Louis still holds on to that title of pumping out talented college QB’s year after year. But who is in the wings after Gabriel? Weekend Recap: St Louis, Moanalua, and St Francis stay undefeated with dominating wins. St Francis continues to surprise me, not only in football. Their Athletics Department has had huge success since last school year with State Titles in boys basketball, softball, and boys volleyball. With the football success, calendar 2018 is turning out to be a record period for the small school in Manoa. Keep your eyes on these 2 teams – Roosevelt (7-1) and Kaimuki (5-2). Roughrider QB Sky Ogata lead the team in passing and rushing in their victory over Mckinley. A one man wrecking crew. But their defense is only allowing 6.6 pts/game. Their only loss – against Kaimuki. The Bulldogs 1-2 running back punch of Jonah Stephens and Naomas Asuega-Fualaau have combined for 720 yards and 11 touchdowns. Plus there is QB Jonah Faasoa with over 1500 passing yards. The OIA v ILH games are always intriguing and was not too long ago where this match up would have been considered a lopsided mis-match in Leilehua’s favor. The Mules are still favored, but the Monarchs have defeated 4 other teams in the OIA D-1, including 5-3 Waipahu. If Damien Head Coach Eddie Klaneski can keep his team disciplined and limit turnovers, that tends to overcome size and depth. Then again, size and depth are big factors for any victory. Is anyone else surprised about these 2 teams – #11 Moanalua and St. Francis? Being undefeated is one thing. But there is also an element of dominance in their victories. For Moanalua, aside from a close opening day win over Castle 40-36, their next 4 victories have been dominant, outscoring their opponents 134 to 56. Watch their quarterback Nick Au (138 -200, 69% completion, 1429 yards, 14 TD’s) as he spreads the ball around with 4 receivers hauling 18+ catches, 3 of which averaging 10+ yards per catch. Similar story with St. Francis – somewhat close opening game victory over Radford 28-21, then dominance since. Saints have outscored their opponents 177 to 25 in their next 5 wins. Receiver Shephard Kekahuna averages 23.3 yards per catch and running back Jonan Aina-Chaves provides the balance with 754 yards on the ground. Another surprise, the strong game put forth by Kapolei against #1 St. Louis. After getting shut out by Farrington 13-0 the previous week and with a record of 2-2 coming in to the game, safe to say there was some anxiety amongst Hurricane Nation. But then there is head coach Darren Hernandez. He built Campbell to become a power in the OIA and developed the Kapolei program from scratch. There is a reason that both schools are in the Open Division – because of Hernandez. And what he can do is prepare and motivate his team for big games. St Louis won the game, but it was a tough 30-22 victory. Games to Watch This Week – #4 Mililani at #2 Kahuku, Saturday Sept. 29 – this is a “meat” game in the OIA schedule, meaning that both teams will see what they are truly made of as it relates toward League play. The Trojans have one of the top QB’s in the state with Dillon Gabriel, with ridiculous numbers – 2110 yards, 25 TD’s and only 4 INT’s. Ridiculous! But the defense has been tough only allowing 56.9 yards per game. But here comes Kahuku with one of the most balanced attacks offensively in years, 158 on the ground and 163 in the air. Defensively they have been prone to giving up some air, to the tune of allowing 215 yards per game. This will be a “standing on your truck” viewing only crowd. Something is going to give……. In Girls Volleyball, Kamehameha, Iolani, and Punahou are 1, 2, and 3 in the rankings. No surprise there. Mililani is No. 4, but in a match-up against one of the top 3, the Trojans would be considered underdogs. The talent in the ILH, particularly with those schools, continues to outshine other teams from the OIA, BIIF, and MIL. Girls Volleyball has a strong club league program in which clubs train and compete during the high school off season, and have been doing so for years. The so called elite clubs have try outs, travel to tournaments, and have a high cost to participate. That weeds out a lot of kids. There is a status element for being on a club team so the peer pressure to play on one is intense. I have not inquired with the top 3 schools, but based on history, I would say that all, or 90% of the players on their rosters play on a club team. These players train and compete at a high level. 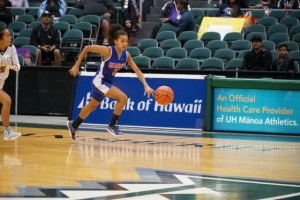 Combine that with competing in the ILH D-I during the high school season, and it is no wonder that these players develop quicker, and are at a higher skill level. For football, how about a tip of the hat to Kalani and Kailua for getting their first wins of the season. Falcons QB Nicholas Sakamoto accounted for 3 TD’s in their victory over McKinley and the Surfrider defense shutout Nanakuli 27-0. A first victory is always sweet and the hope is that momentum can develop and be sustained for the next game. Weekend Recap: My last week’s “Game to Watch” saw #14 Moanalua stay undefeated with a 23-10 upset over #8 Leilehua. The Menehune special teams generated points, and receiver Rudy Kealohi hauled in 116 yards in receptions. I’m not sure what is more surprising – that Moanalua and St Francis are undefeated (4-0 and 5-0 respectively), or that Baldwin is 1-4. The Bears were the MIL D-I Champion in 2016, and had been a solid program for years. Now after me saying this, they will run the table and rub my nose in the dirt come HHSAA State Tournament time. If for any other reason, but because it is on a Thursday night. Also the Wildcats from Kona have a freshman QB in Sheynen Nahale who passed for 277 yards and 3 TD’s in their win over Waiakea this past weekend. These 2 Kalihi teams have played each other from before this OIA-ILH alliance, partly because they are geographical neighbors. But this time it is part of the season and these teams may be trending in opposite directions. Kamehameha has lost their last 3 games on Oahu (defeated Carson in Los Angeles on 8/24), whereas Farrington snapped a 4 game losing streak with their victory over Kapolei. The Open Division Schedule has been challenging for both, especially for 1st year Farrington coach Daniel Sanchez. Neither he, nor his counterpart Abu Ma’afala, want to go +1 in the loss column. Safe to say that for 85% of football teams on any level, pros, college, and definitely high school, depth is an issue. There is a drop off from the first teamers, or “1’s”, to the “2’s”. For high schools that struggle for numbers, this fact is magnified times 50. Then there is Aiea. Struggling for numbers, check. Injuries, check. Winning a game with their 4th quarterback, big check. Somehow, someway, senior Fabian Bautista threw 3 touchdown passes in a victory over Radford 26-6, to go 2-1-1. This is an Aiea team that had to call up JV players for the opener against Kaiser(tie). Head coach Wendell Say, who, next to Cal Lee, is the most veteran coach still with a whistle, has to be digging deep into his vault of coaching “magic” to keep his team moving in this positive direction. Credit to Say and his staff for keeping their players motivated. And credit the players for handling this adversity. Weekend Recap: The “Big Game” may have been a bit anti-climactic with St Louis winning big over Kahuku. Many fans expected a closer game (except Crusader Nation). But Raider Nation, stay cool. Like any good team, which Kahuku is, there could be a different team come State Tournament time. My theory, the Red Raiders now have film against the top team in the State. Improvement, and preparation for the rematch, starts Monday. Game to watch – Moanalua (3-0) at Leilehua (4-1), Friday, 9/14/18. The top spot for the OIA D1 is on the line. Moanalua is looking to break into the Top 20 rankings and quarterback Nick Au had a career game last week (300 yards passing, 5 TD’s) in their win over Kailua. Whereas Leilehua’s running back James McGary ran for almost as many yards (223) in their victory over Iolani. The defenses will have to determine the outcome in this one. Labor Day is not always an “OFF” day for teams and their coaches…Briefly driving around doing my errands and saw 2 schools with their football teams bright and early getting work in during a muggy morning. Granted their will be several more volleyball teams in hot gyms, cross country runners on tracks, bowlers maybe getting in on some possible open lanes, while others stay home. As dedicated as these student-athletes are for working on a holiday (because they have to), let’s think about the coaches who are giving up their time as well. And don’t let the small stipends that they get fool you. When you add up the hours in a season, the hourly rate is less then half of the minimum wage. Weekend Recap: A few teams had their games on the mainland and Iolani hosting a tough Clackamas (Oregon) team and falling 7-0 in a rare defensive battle. My Game to Watch, Punahou vs Farrington was that physical battle, for 3 quarters until the Buff N Blu pulled away in the 4th, winning 40-14. Let’s take note of Kaimuki (3-0) with their 2nd shutout of the season in 22-0 win over McKinley. This is a program that only a few years ago was struggling to have numbers to field a team. QB Jonah Fa’asoa threw for 1TD and ran for another. McKinley played 3 QB’s, including the only female non-kicker (ever?) in high school football, Alexandria Buchanan. Game to Watch – #1 Saint Louis vs # 2 Kahuku, Friday at Aloha Stadium. Need I say more? This special alliance season gives fans an opportunity to see a preview of a potential State Championship title matchup. Two huge alumni and community contingents will converge wearing a lot of red and blue. 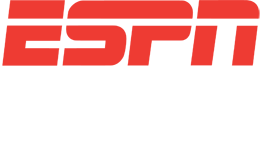 NBC Sports Radio on AM 1500 will have all the coverage starting at approximately 7:30 p.m.
Hurricane/Tropical Storm Lane kept everyone sheltered in place giving all high school athletics a mandatory bye last week. Because the OIA does not count the football inter-league games toward their league record, the chances of those games being rescheduled are unlikely. League schedulers for the OIA will be challenged enough trying to re-schedule league games. If we put the business hat on for the OIA Athletic Directors, cancelling games means loss in gate and concession revenue. Which is a big punch in the gut for cash strapped public school budgets, and more sweet bread and huli huli chicken to sell. For coaches, this weekend may have been a blessing in disguise. One less game of wear and tear on players. But at this early stage in the season, I think coaches would have wanted the games for team and player development. If this storm came in late September or early October when players are more banged up, then a week of rest would be more appreciated. The Big Island may still have scheduling issues depending on the status of school fields. Honoka’a, Hilo, and Waiakea fields may not be fully recovered from the rains and flooding. Maui took some hits from Lane as well, and Lahainaluna’s track surrounding the field got damaged from the wildfire. Hopefully the field area is playable. Games to Watch – (1) Honokaa at Waiakea on Saturday 9/1. Both areas hit by flooding over the weekend. Both communities looking forward to recovering and getting back on track. (2) #4 Punahou at #10 Farrington, also on Saturday. History factors in here for old school fans with these two teams. Interested in watching Punahou’s big fullback Sitiveni Kaufusi (I remember him as Steven in middle school), 6-3, 230. Buff N Blu may go power on power with the big boys from Kalihi. Talent is one thing that fans can spot when watching any high school football game. Find the players that stick out with their speed, quickness or athleticism, and most likely they are the most talented athletes on the field. In the Open Division game between Kahuku and Waianae, there was talent all over the field. But my eyes got wide and glued to a distinct measurable in the scouting community: size. The size of the players on both sides of the line of scrimmage was visually impressive, which is to be expected from these two teams. But still, these are big guys! Kahuku boasts an offensive line that averages 6-1 ½, 287 pounds. Waianae’s line is almost the same: 6-0 ½, 285 pounds. Both teams have happy running backs running behind these walls of granite. Waianae wins the “Big Boy Team” award, though. Their punter, Zefften Thompson-Avilla, is 6-1 and 300 pounds. Odds are pretty good that he is THE big boy punter in the state. Kahuku won this big boys match-up last Friday, 49-13. Somewhat quietly, St Francis in D-II has started the season 3-0. But the scores have not but quiet, especially if you were their opponents the last two games. The Saints have defeated McKinley and Waialua by a combined score of 111-6. This is a team that will not play a home game this season. (Although, for the ILH, I would consider Aloha Stadium a pseudo home field, and the Saints only have one game there versus PAC-5.) QB Jonah Aina-Chaves leads the team in passing, rushing and scoring. The Saints go marching in to Kaiser Stadium this Friday to take on the 1-1-1 Cougars. Game to Watch this Week #4 – Iolani @ Moanalua, Fri. 8/24. Both teams are undefeated and throw the ball a lot. A game with lots of offense at a good venue. Pretty good concessions, so don’t wait till halftime. Plus, if you can’t make it to the game, you can listen to it live on NBC Sports Radio on AM 1500.